this time I wanted to show you a very small study of different signatures of Picasso during the different years. This study will be continued, as well I will add fake signatures later on as I think there are lots of them out there. 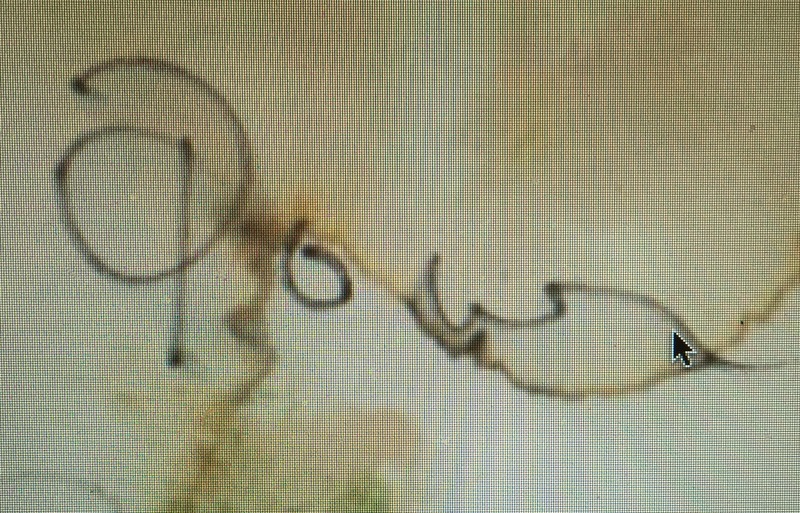 Example 1: very early signature from 1904 (reference: image in “Portrait of Picasso” by Roland Penrose, The Museum of Modern Art, New York 1957, pp.29). Example 3: The “P” in Pour is like a small letter with a small upstroke, in Picasso´s signature already more artistic with a clear loop. No upstroke at the “P”. 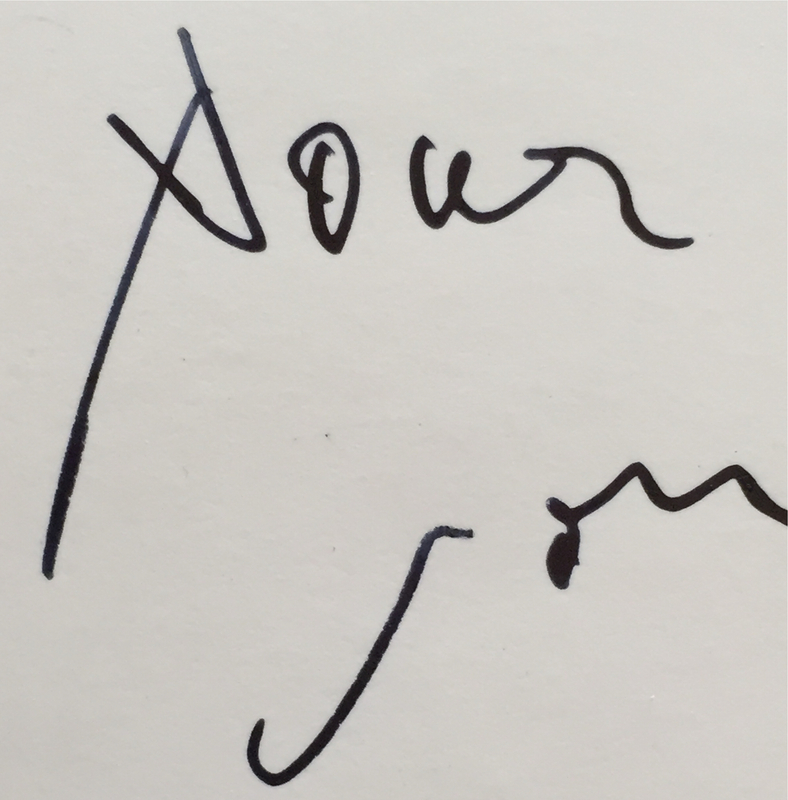 Example 4: Signature from 1940 (reference: letter to Christian Zervos, in Katalog Stargardt, Moirandat, Autographen Auktion, Basel 2011, pp.288 ). 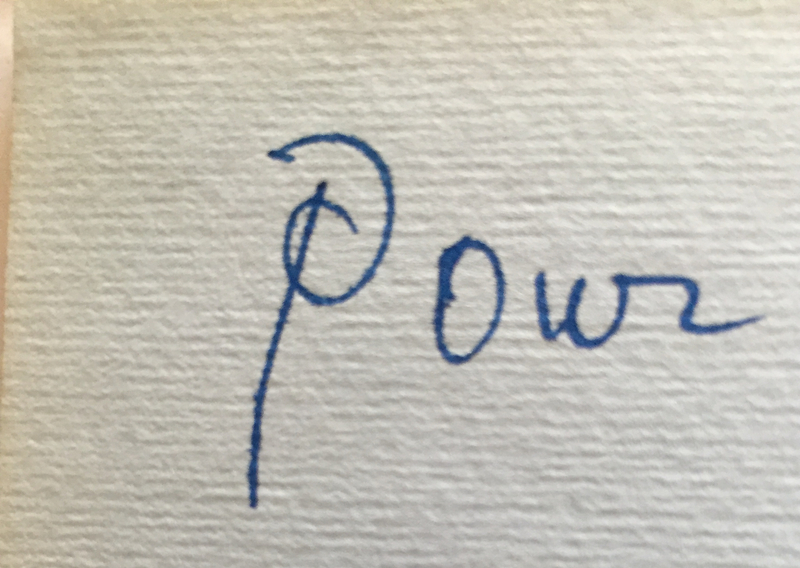 Still very artistic signature, the stroke and his classic “P” are somehow melting together. 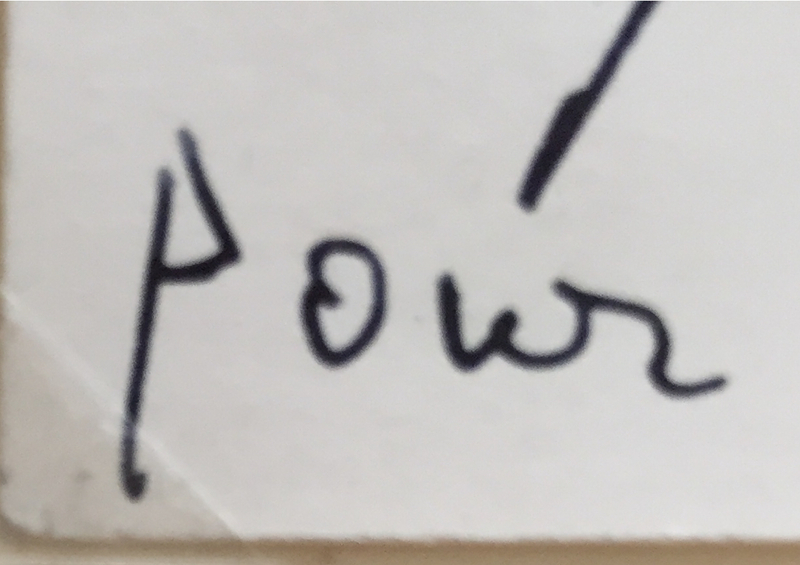 Example 5: Signature from 1948 (1st reference: own collection. 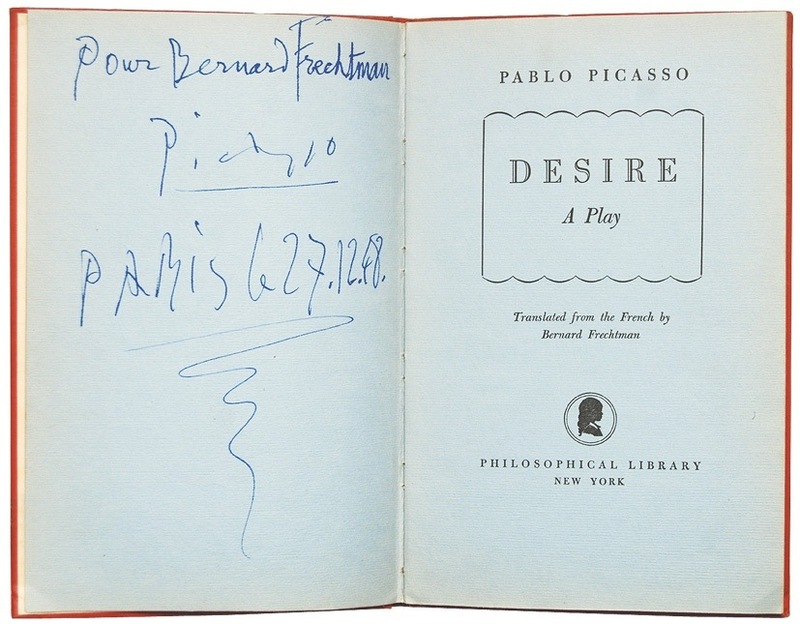 signed in Desire a play, 27.12.1948, dedicated to Bernard Frechtman). 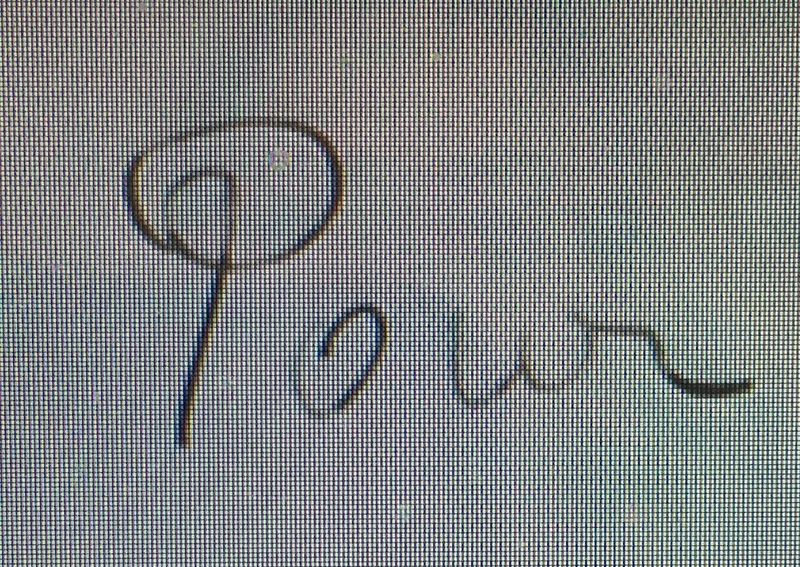 Capital “P” with a loop in Pour, simple P for his signature. (2n. 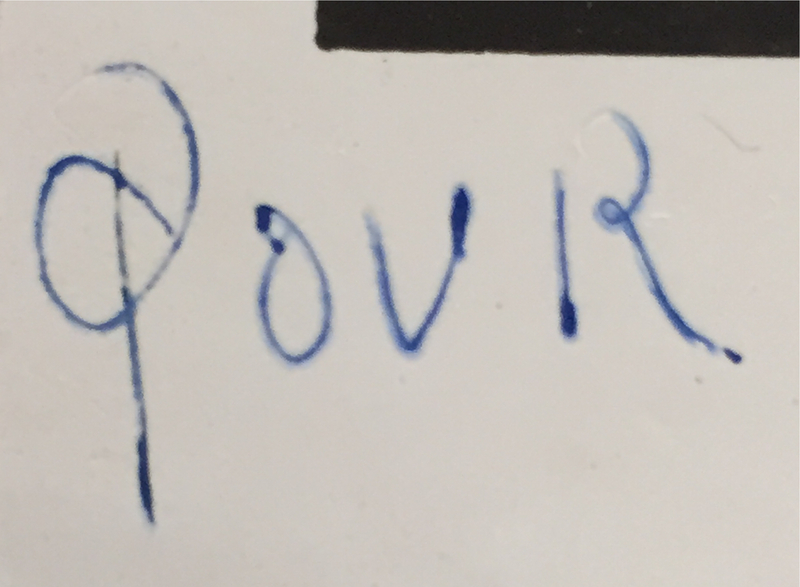 reference: private collection: signed in “Desire – A play by P. Picasso, 27.12.1948): Both “P” with small upstrokes and small loops. 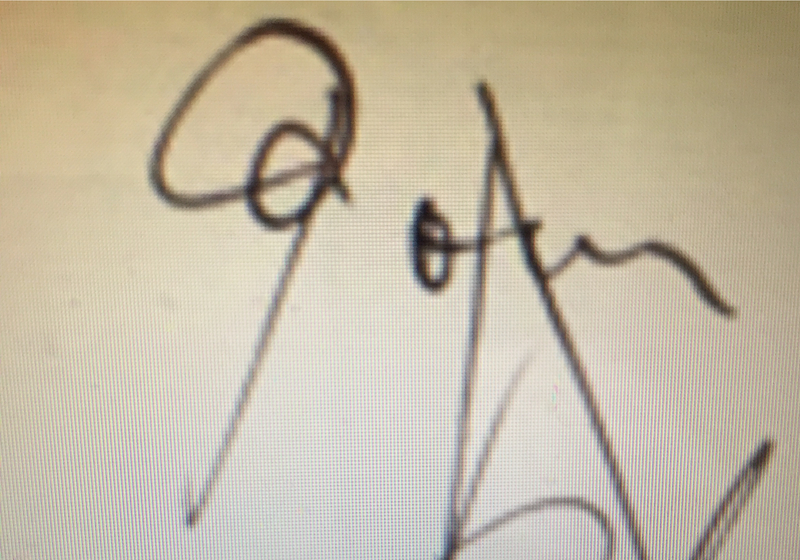 Example 7: Signature from 1952: Photo signed and dedicated. 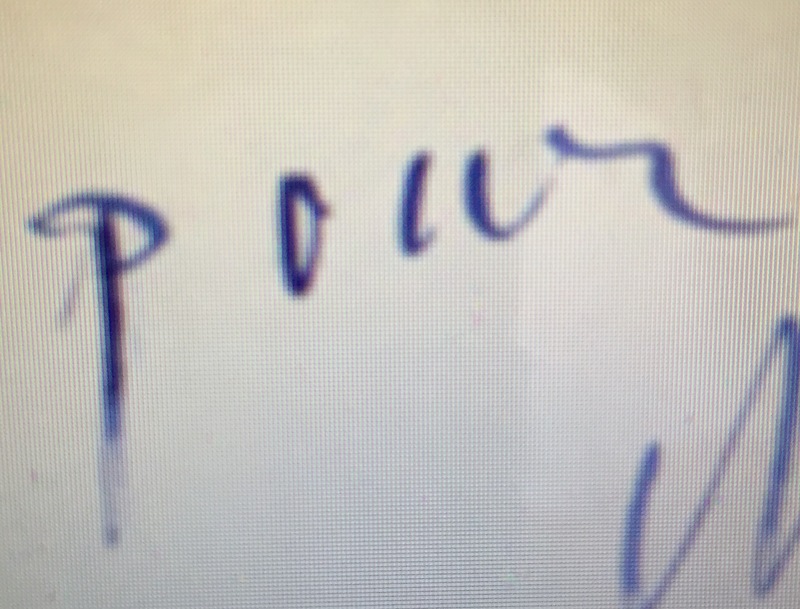 “P” in Pour and in Picasso are written in small letters. Angle of the stroke for Picasso is at 45 degrees, small loop. Hope you enjoyed this small study and – if you have any comments – please feel free to contact me. Picasso´s “DESIRE” – In the winter of 1941, soon after the Germans had occupied Paris, Picasso while ill spent three days writing a play. Here is a copy of the first edition, signed by the Master himself 27.12.1948. 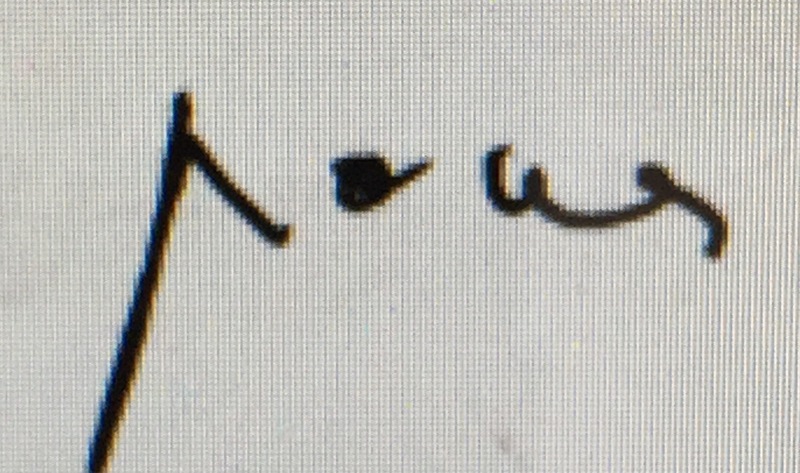 A nice example of post war signature from Picasso. 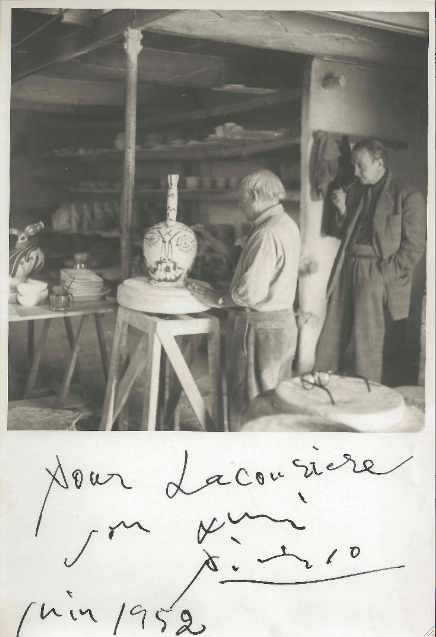 Exceedingly uncommon photograph of Picasso’s bronze masterpiece sculpture: Man with a Lamb,  wonderfully inscribed and signed by him on the lower photographic surface: “Pour Madeleine Braun Vallauris Picasso le 30/08/50”. This photograph was taken in the castle chapel at Vallauris. 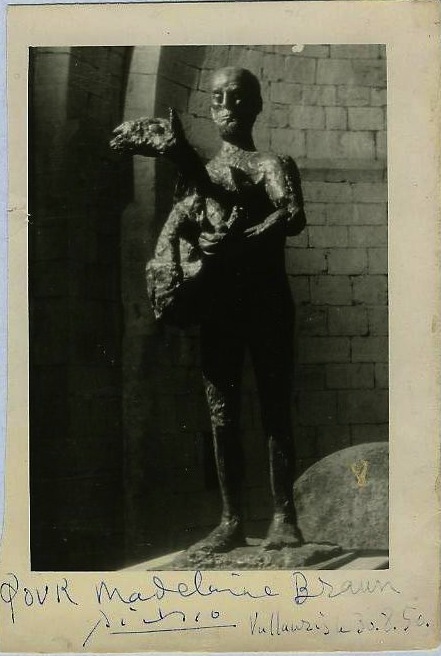 It shows the sculpture as it was preserved in 1949 [the year of it’s donation by Picasso] and before the 1950 date of its installation /inauguration in the market square. The first time I can recall seeing a photograph like this! Simply wonderful! Do you feel the silence and the artistic and creative process in this picture? What happens next? How does Picasso create the uniqueness of the ceramics in front of him? This very nice photo shows Pablo Picasso in his atelier in Vallauris designing and painting one of his sculptures. Roger Lacourière observes him in the background, smoking a pipe. 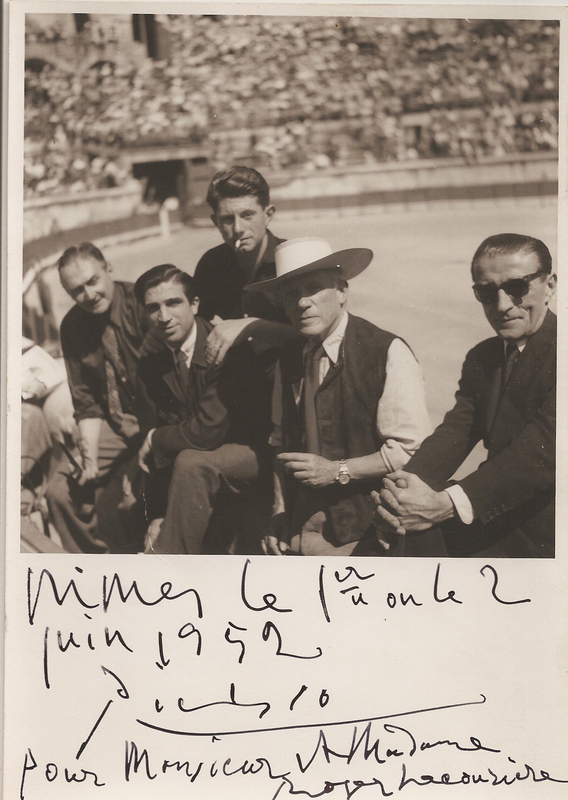 „For Lacourière, his friend Picasso“ , june 1952.